The new board, under the auspices of the country's top leadership, is expected to be officially launched in late June or early July this year. Many of the detailed guidelines for listing requirements and trading rules - made public on January 30 - are so creative and even ground-breaking that led some market watchers to claim the new board is likely to compete with the established bourses in Hong Kong and New York, to lure promising tech ventures or the so-called "unicorns." 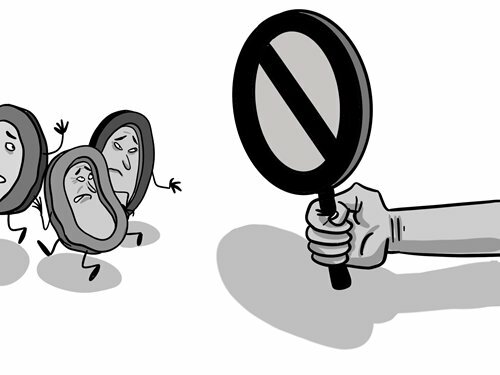 A glimpse into the rules publicized by the China Securities Regulatory Commission, the watchdog of the stock market, details, among many changes, lowered thresholds for IPOs of high-tech companies. Unprofitable ventures which have a minimum of 300 million yuan ($44.8 million) of sales in the previous year will likely be eligible to file an IPO application. Until today, loss-making companies are barred from raising funds on China's two main stock bourses in Shanghai and Shenzhen. Also, pre-revenue biotech enterprises which have a market value of no less than 4 billion yuan are also qualified to apply under the new rules, provided IPO applicants obtain licenses from China's national drug administrative body. The drastic opening-up of the rules, a registration-based IPO arrangement plus a very flexible trading system, according to market watchers, are designed to attract more innovative technology businesses to list on the new board. However, the opening-up of the rules are not risk-free and could lead to ineligible companies making up their business, submitting fraudulent documents or information in order to get listed. And, the increase of the daily trading limit for a single trading day - from the previous 10 percent maximum daily movement to 20 percent under the new rules - may put investors in particular peril, and individual investors will become all the more vulnerable to extreme price moves, when trading on the new board. In fact, the truthfulness of disclosed information by the listed companies on the new board is fundamentally important for investors. Securities administrators need to pay detailed attention to the quality of listed firms - timely and sufficient information disclosure of the firms' business operations and their technology research and development - in order to protect the investors' enthusiasm and stimulate the market's vitality in the long run. Only those ventures that have core competitive technologies including quantum computing, crucial software design, state-of-the-art chipset production, core AI exploration, and genuine pharmaceutical drug development are eligible for coming to the new board - because the future of China's economic competitiveness is counting on them.